To help you develop an informed understanding, we present 10 reasons you can’t rely on information in Wikipedia. 10. You must never fully rely on any one source for important information. Everyone makes mistakes. All scholarly journals and newspapers contain “corrections” sections in which they acknowledge errors in their prior work. And even the most neutral writer is sometimes guilty of not being fully objective. Thus, you must take a skeptical approach to everything you read.The focus of your search should be on finding accurate information and forming a full picture of an issue, rather than believing the first thing you read. This is particularly true on the Internet, where anyone can publish, cheaply and quickly. Always verify important information by confirming it with multiple sources. 9. You especially can’t rely on something when you don’t even know who wrote it. Very few Wikipedia editors and contributors use their real name or provide any information about who they are. In order to properly evaluate information on the Internet, there are three questions you must always ask; the first two are “Who wrote this?” and “Why did they write it?” On sites with anonymous authors like Wikipedia, you can’t find this information. 8. The contributor with an agenda often prevails. In theory, the intellectual sparring at the heart of Wikipedia’s group editing process results in a consensus that removes unreliable contributions and edits. But often the contributor who “wins” is not the one with the soundest information, but rather the one with the strongest agenda. In March 2009, Irish student Shane Fitzgerald, who was conducting research on the Internet and globalization of information, posted a fake quotation on the Wikipedia article about recently deceased French composer Maurice Jarre. Due to the fact that the quote was not attributed to a reliable source, it was removed several times by editors, but Fitzgerald continued re-posting it until it was allowed to remain. Fitzgerald was startled to learn that several major newspapers picked up the quote and published it in obituaries, confirming his suspicions of the questionable ways in which journalists use Web sites, and Wikipedia, as a reliable source. Fitzgerald e-mailed the newspapers letting them know that the quote was fabricated; he believes that otherwise, they might never have found out. 7. Individuals with agendas sometimes have significant editing authority. Administrators on Wikipedia have the power to delete or disallow comments or articles they disagree with and support the viewpoints they approve. For example, beginning in 2003, U.K. scientist William Connolley became a Web site administrator and subsequently wrote or rewrote more than 5,000 Wikipedia articles supporting the concept of climate change and global warming. More importantly, he used his authority to ban more than 2,000 contributors with opposing viewpoints from making further contributions. According to The Financial Post, when Connolley was through editing, “The Medieval Warm Period disappeared, as did criticism of the global warming orthodoxy.” Connolley has since been stripped of authority at Wikipedia, but one blogger believes he continues to post. Furthermore, in 2007, a new program called WikiScanner uncovered individuals with a clear conflict of interest that had written or edited some Wikipedia entries. Employees from organizations such as the CIA, the Democratic National Party and Diebold were editing Wikipedia entries in their employers’ favor. 6. Sometimes “vandals” create malicious entries that go uncorrected for months. Due to the fact that Wikipedia can be edited by anyone with an Internet connection, users can falsify entries. Though in many instances reviewers quickly delete this “vandalism,” occasionally false information can remain on Wikipedia for extended periods of time. For example, John Seigenthaler, a former assistant to Robert Kennedy, was falsely implicated in the assassinations of the Kennedy brothers on his Wikipedia biography for a period of more than 100 days without his knowledge. 5. There is little diversity among editors. According to a 2009 survey by the Wikimedia Foundation, 87 percent of Wikipedia editors are male, with an average age of 26.8 years. According to then-executive director Sue Gardner, they hail mostly from Europe and North America, and many of them are in graduate school. Other surveys have reported that males comprise 80-90% of the editors, and the average age has skewed higher, but it is clear that males under 35 are the dominant demographic. Although most of these editors are undoubtedly intelligent and passionate about enhancing the accuracy of Wikipedia, the site falls far short of its ideals of providing “the sum of all human knowledge” without the broad perspectives that a more diversified pool of editors would bring. 4. The number of active Wikipedia editors has flatlined. The number of active Wikipedia editors (those who make at least five edits a month) declined steadily from its peak in 2007 until it appeared to stabilize in 2015, after Wikipedia made itself easier to edit. It remains to be seen whether the current number of active editors can maintain and continue updating Wikipedia. 3. It has become harder for casual participants to contribute. According to a 2009 report by the Palo Alto Research Center, the contributions of casual and new contributors are being reversed at a much greater rate than several years ago. The result is that a steady group of high-level editors has more control over Wikipedia than ever. This 2017 article in Slate makes clear this problem continues into recent years. A group of editors known as “deletionists” are said to “edit first and ask questions later,” making it harder for new contributors to participate, and making it harder for Wikipedia—which, again, aspires to provide “the sum of all human knowledge”—to overcome the issue that it is controlled by a stagnant pool of editors from a limited demographic. 2. Accurate contributors can be silenced. Deletionists on Wikipedia often rely on the argument that a contribution comes from an “unreliable source,” with the editor deciding what is reliable. An incident in 2009 showed the degree to which editors at the very top of Wikipedia were willing to rely on this crutch when it suits their purpose. Thus, Wales and other senior Wikipedia editors showed they were willing to rely on the “unreliable source” canard to delete information they had been told by a very reliable source was true, even when a more noble reason—Rohde’s safety—would have justified it. 1. It says so on Wikipedia. Wikipedia can actually be a constructive tool in the classroom if understood and used correctly. To learn more, read findingDulcinea’s Web Guide to Wikipedia in the Classroom. North Carolina State University Libraries has a short video that explains what Wikipedia is and how information is entered into it. 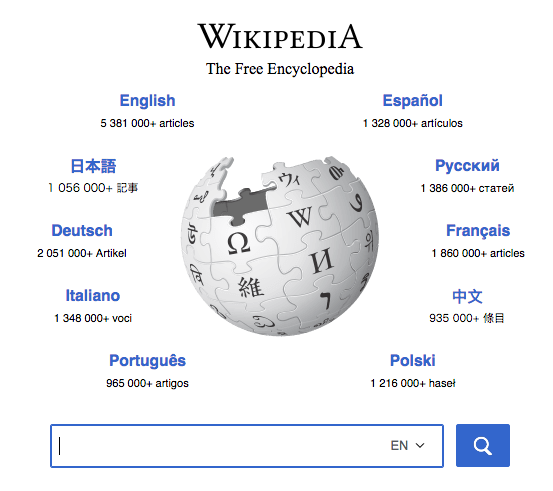 Take a tour of the “article,” “discussion,” “edit this page” and “history” tabs to go “beneath the surface” of Wikipedia. Stephen Colbert takes a satirical view of Wikipedia in a segment on his show and on his own user-generated encyclopedia, Wikiality. Though intended for laughs, it captures, in an entertaining fashion, why Wikipedia can’t be relied upon as a sole source of information.